Breyer Horses 2018 Holiday Winter Whimsy Carousel Ornament #700622 This is the 19th in a collectible series. This is the 19th in a collectible series. Winter may bring on ice and blustery weather, but Winter Whimsy is in her glory! 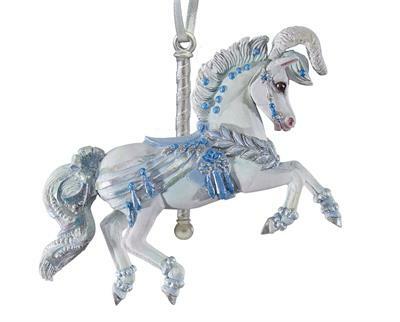 This frosty-colored mare is bedecked in an array of icy blues that perfectly accent her coat. 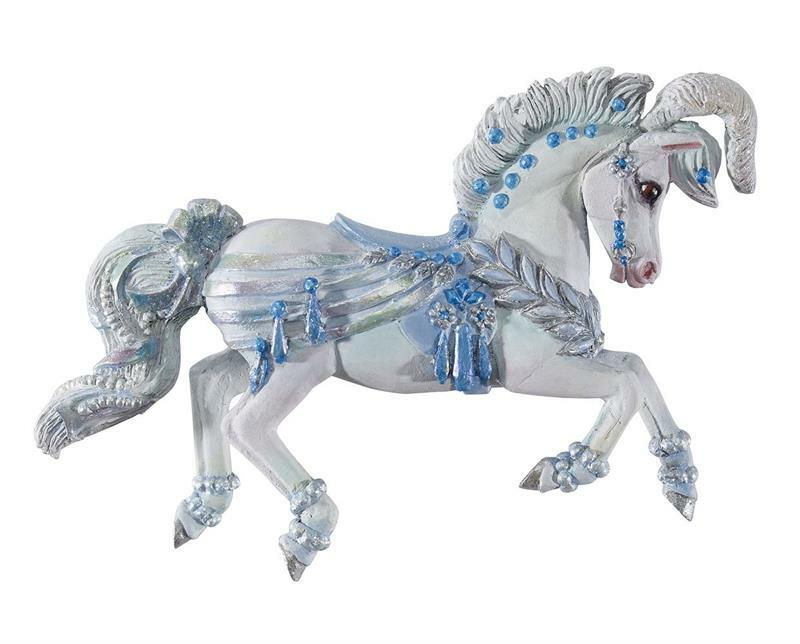 From her glittering rhinestones and beads to her ornate tack, this jumper carousel horse is an ode to the beauty of winter!